Tomorrow’s airport is not just a place to catch a plane or pick up some duty-free. It’s a destination restaurant, a legendary cocktail bar, a comfy place to sleep, a wellness sanctuary, all tailored precisely for each traveller with smartphone notifications and special offers. No two journeys through it will be the same. As on the high street, airport retail will be more about engaging travellers with the brand than persuading them to spend then and there. “Some of the most valuable pieces of space within the airport are big brand and media experiences, for a company to share their brand identity and values with a customer base that tends to have money in their pockets and be prepared to spend it,” says Thomas. 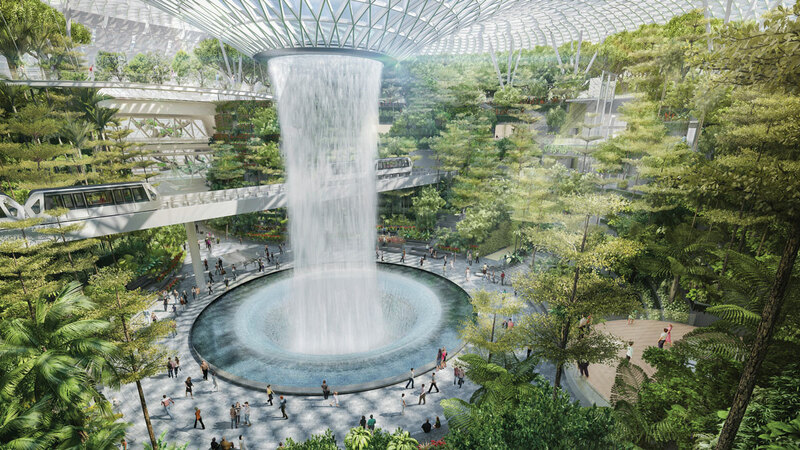 Singapore’s Changi Airport already has a butterfly garden where weary travellers can reconnect with nature. But the Jewel development takes it a step further. Opening in 2019, it is intended to become a “lifestyle destination” in its own right, both for international visitors to Singapore and local residents. It includes a five-storey air-conditioned garden, with walking trails, slides, a maze and the world’s tallest indoor waterfall, as well as dining, retail, business facilities and hotel cabins that can be rented in hourly blocks. 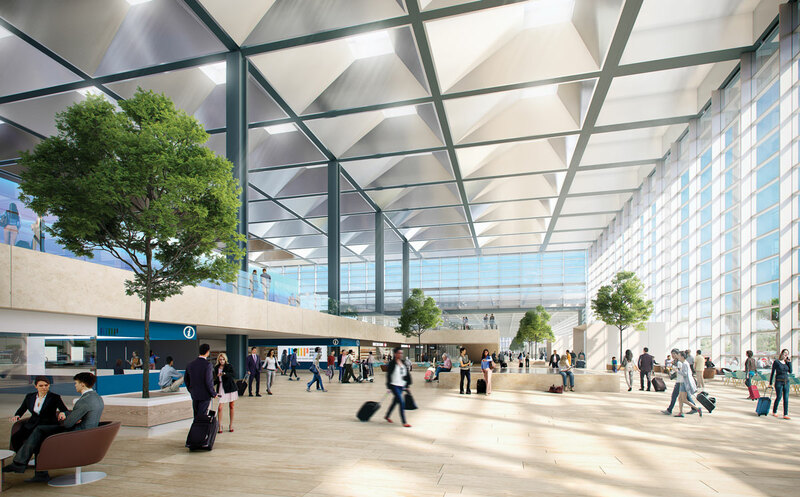 Marseille Airport extension by Foster + Partners – "When you arrive in Marseille, you'll know you're in Provence"
Above all, the airport of tomorrow will be somewhere. HOK’s new Central Terminal B at LaGuardia will feature “pocket parks”, places to sit and rest with indoor trees and play areas for children, echoing those found throughout New York City. 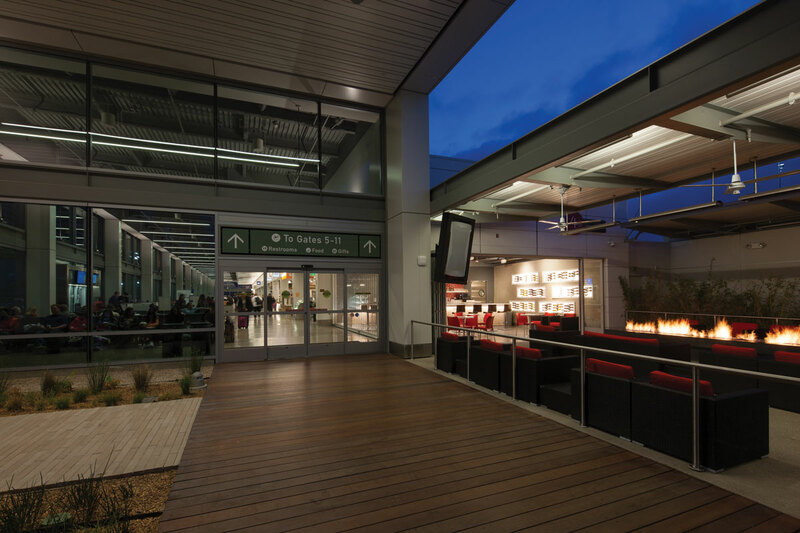 Meanwhile, Long Beach, couldn’t be anywhere other than southern California, with outdoor areas where passengers can chill by a firepit with a glass of wine while waiting for their flight. "Some of them treat you like sheep"
Within 20 years, Toronto Pearson expects annual passenger numbers to almost double. 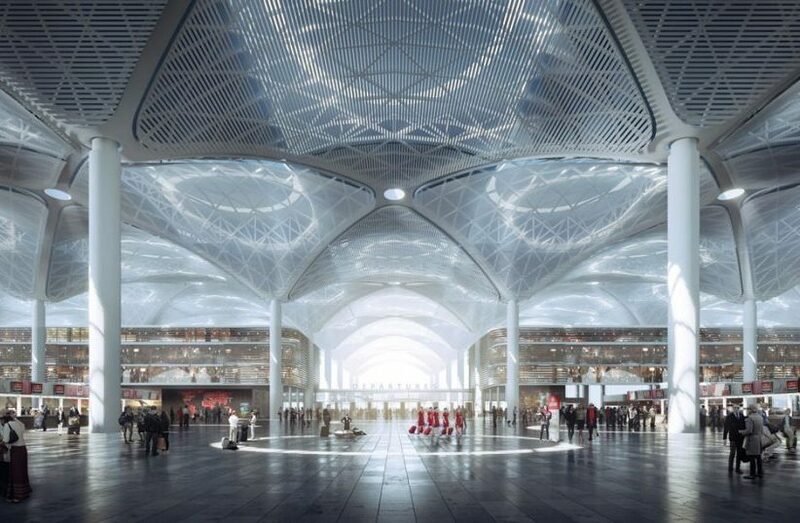 It’s new regional transit centre, designed by HOK and WSP, will not only accommodate this growth but improve connectivity throughout the region. The airport is in a unique position to link towns and cities throughout Ontario, located between three municipalities, four major highways and a number of planned and existing transit lines. 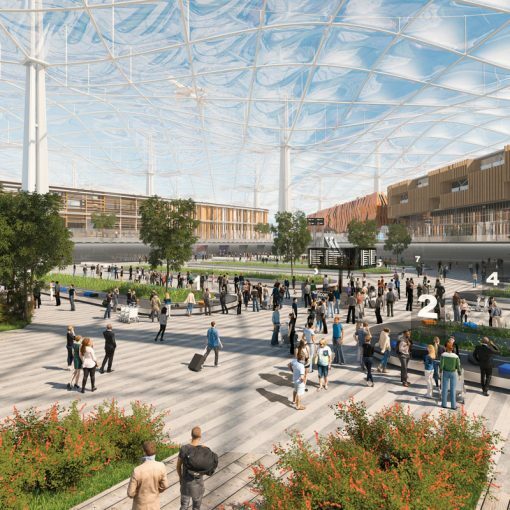 Airports may even become cities in their own right. The earliest examples of the aerotropolis — a city whose layout and activities centred around an airport — were founded on time-sensitive manufacturing and distribution businesses that relied on fast links to distant customers, such as FedEx in Memphis or UPS in Louisville. In his book Aerotropolis: The Way We’ll Live Next, University of North Carolina professor John D Kasarda describes the aerotropolis as “the logic of globalization made flesh in the form of cities”. That logic has made some form of airport connectivity essential for all businesses. But it works both ways. In a world that is seamlessly connected by the internet, innovation is the greatest differentiator for companies. For that, they rely on attracting the brightest human minds — and those minds don’t want to work on an industrial estate. They’d rather be in a vibrant, thriving city, with the airport a short, easy hop away. 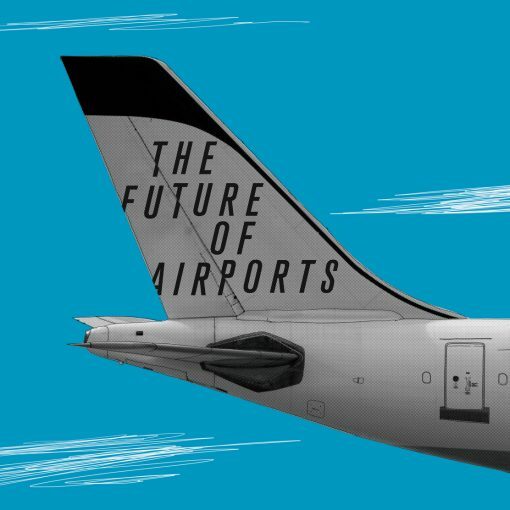 Whether that’s a brand new city built around the airport, or an established city with a fast mass-transit connection, will depend on how successfully airports are able to become fully functional urban centres. 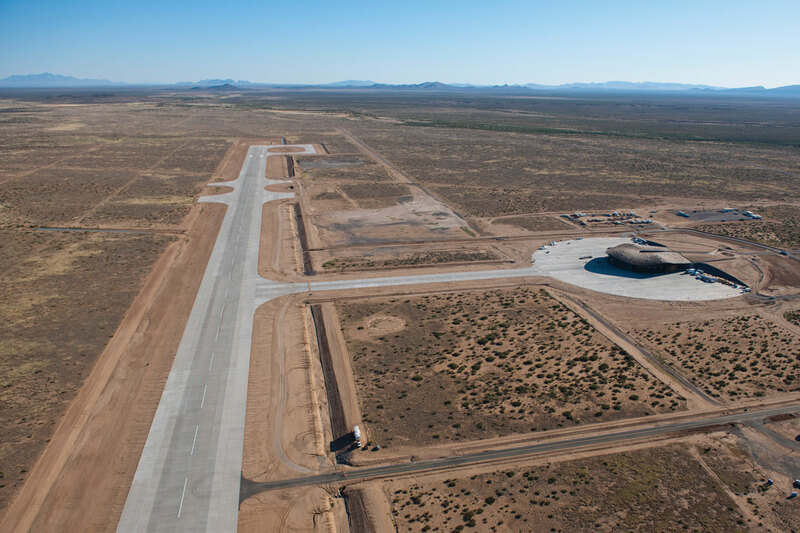 Many new airports are deliberately planned with adjacent city-sized lots. 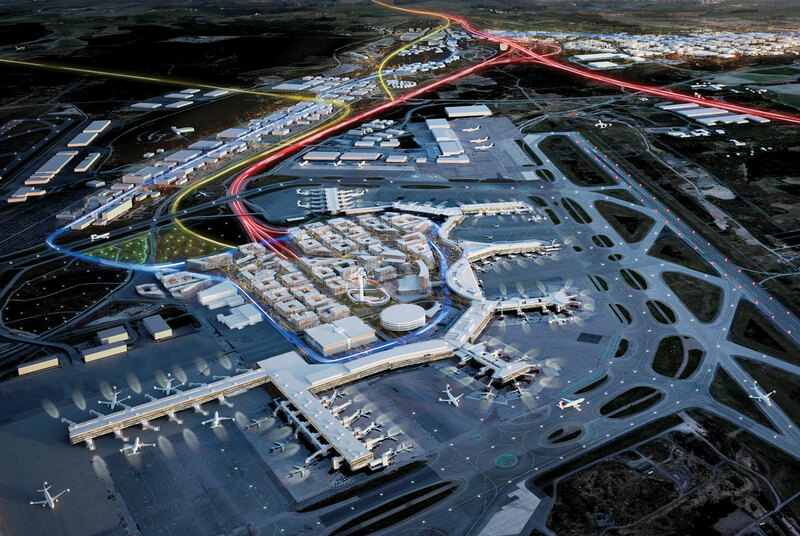 Taiwan’s Taoyuan Aerotropolis Plan envisages jobs for 200-300,000 people, as well as homes, recreation facilities and amenities for the new communities. “We’re trying to build an ecosystem for all the logistics and cargo companies, but also to boost totally new industries to contribute to GDP growth,” says WSP’s Frank Lin. The government particularly wants to encourage innovation in four tech fields — Internet of Things (IoT), smart city technology, AI and green energy — and is building dedicated R&D facilities to lure entrepreneurs from across Asia. Parking is the single biggest chunk of airport’s non-aeronautical revenues, and rental cars are the next biggest: together they make up around 60%. The convenience of ride-hailing apps such as Uber and Lyft has already dented the appeal of car ownership for millennials, and in the not-too-distant future, shared autonomous vehicles could make it almost obsolete. That spells the end for airport parking as we know it. Why pay to leave your own car at the airport for two weeks when you can summon a lift when you need one? Driverless cars will simply drop off their passengers and head on to their next pick-up, but they’ll also need somewhere to wait and to recharge their batteries — and where better than the airport? “They tend to be very well connected to road networks and there will always be high demand,” says Grimshaw’s Andy Thomas. Older, landlocked airports are sitting on vast tracts of land currently devoted to parking — for which redevelopment looms. 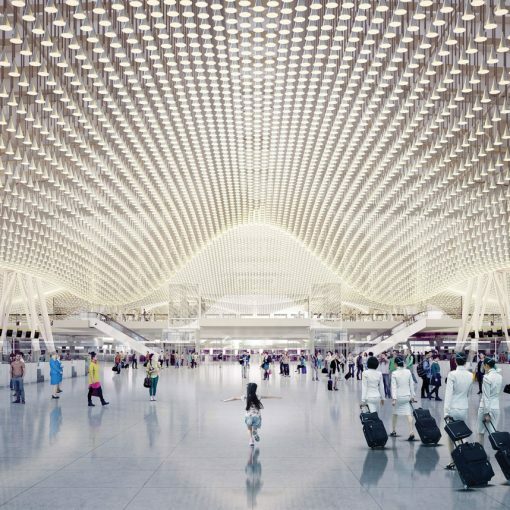 “That’s a scary thought for many airport operators — but it presents a tremendous opportunity to rethink the types of facilities and services that airports offer their customers on the landside,” says Max Hirsh, professor at the University of Hong Kong and author of Airport Urbanism. “At present, some of the airport’s most valuable real estate is occupied by parking structures. Successful airports are re-evaluating whether that still makes sense.” He gives the example of Amsterdam Schiphol’s new valet-parking model. Passengers drop off their cars next to the terminal, which are then parked at a remote facility, freeing up land for more lucrative uses. Budding aerotropolises will be in competition with the cities they serve. So they have to offer the things that real cities do. A mix of commercial and residential buildings is not enough — developers must fill the gaps in between with all of the less obviously valuable or glamorous amenities that are essential to city life: childcare, gyms, grocery stores, outdoor seating areas, places for food trucks. In the fast-growing, land-poor, more communal societies of the East, airports are becoming places of social interaction for people who aren’t even flying. Changi is a favoured study location for Singapore’s university students, lured by free wifi, aircon, 24-hour access and the variety of quiet spaces and refreshments. 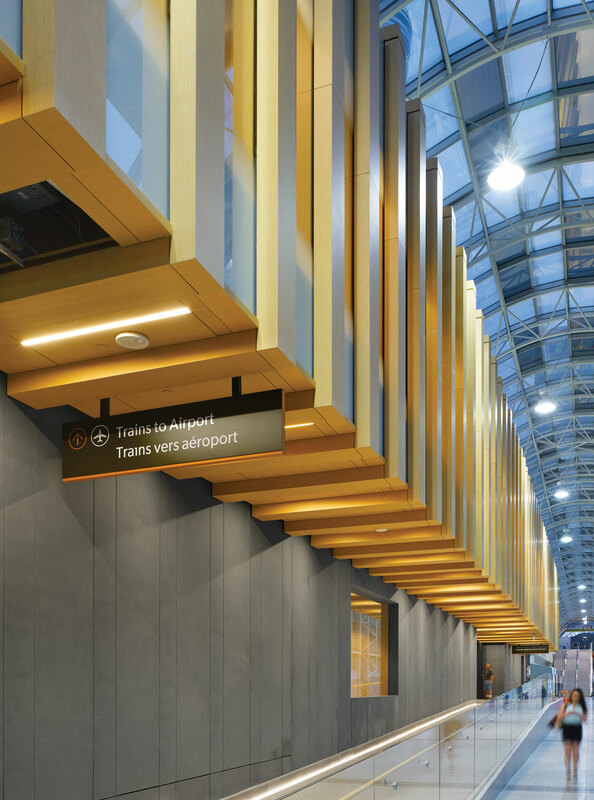 “Rather than keeping everyone out, airports are beginning to open up and they’re looking at spaces in a completely different light,” says WSP’s Jason Brooks. A new space race is on. The goal is on-demand urban aviation: electric VTOL drones piloting themselves over congested cities, cutting commutes from hours to minutes. Uber is aiming to start demonstrator flights of the Uber Air service by 2020, and full commercial operations by 2023. Dubai’s rulers are enthusiastically pursuing test flights of Volocopter air taxis to a similar timetable, and Singapore’s civil aviation authority is working with the European Aviation Safety Agency and Airbus to develop standards for urban aviation. 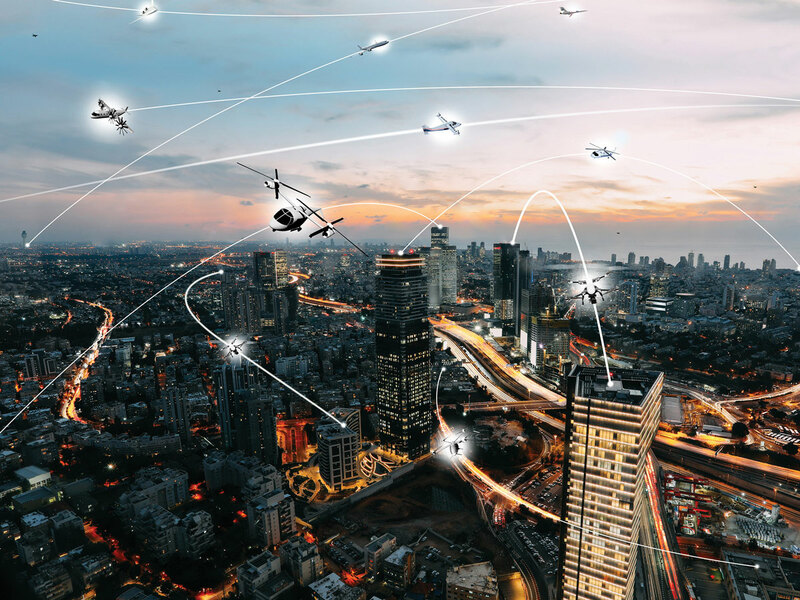 The European Commission launched its Urban Air Mobility Initiative in May 2018 and nine cities and one region have signed up to run pilot schemes. Lindgren recently joined WSP from the mayor’s office in Los Angeles, one of two Uber Air launch cities in the US, where she was developing policies to help the city integrate new forms of mobility. Full-scale implementation won’t happen until closer to 2033, she believes, partly because airspace is so heavily regulated. But it is this that presents city planners with a golden opportunity, allowing them time to plan how and where urban aviation happens. It could be the missing link that better connects existing transit systems into a more functional whole. Uber Air will link transit nodes rather than running point-to-point, at speeds of 150-200km. Its ideal city is large, sprawling, densely populated, polycentric and congested, and if it has a large airport that can’t be reached inside an hour, that would make for a “compelling use case” too. It has narrowed the search for a third launch city down to Japan, France, Brazil, Australia and India. Lindgren foresees that small, forgotten or outlying airports could be brought back into the fold of a regional system. Major airports, meanwhile, will have to decide whether or not to welcome low-altitude interlopers, and how such services will integrate with their own transit, security and electricity networks.